The classic hoop earring taken to the next level! 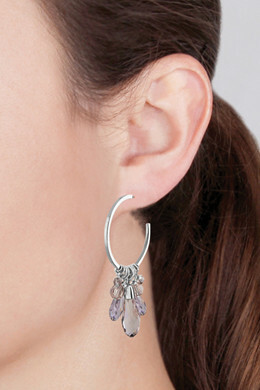 They are adorned with multiple crystals in different shapes, sizes and colors, and will make you sparkle. 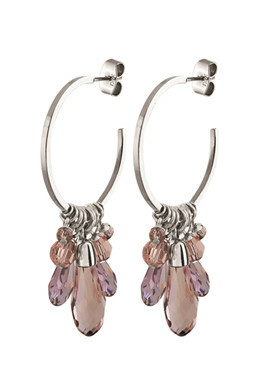 Shown here in a silver toned finish with different shades of pink crystals.